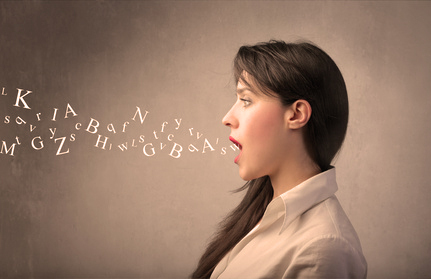 My Speech Impediment – Flawed, Cracked… But Rare! I recently started a form of self-prescribed and self-developed form of speech therapy. I do not have a speech impediment or disorder of any known sort… but, I do have a small issue with the way I talk to people. The issue has been bothering me for a long while, and I worry that at times someone might even take offense about it. The issue is that I am an involuntary speech mimic. When I am talking to a person in English (it might be happening with my other languages too, but I haven’t noticed it), I tend to mirror their speech patterns and intonations and to an extent, even their accent. It is almost a reflex action and I am honestly embarrassed by it. For someone who has heard me speak in my normal manner (which I have been told is neutral English with the slightest of British emphasis on certain words), this sudden change in my speech pattern while talking with them could be offensive… it would appear to them that I am mocking their speech. I would like to assure them that it isn’t the case… this synchronous behavior on my part is purely involuntary. The other issue which hampers me is that the previous pattern of my speech continues until I am in conversation with someone with a different pattern of speech/accent. It takes me a few lines of conversation to synchronize with the new accent and intonation. So, if I have been talking to someone with a heavy South Indian accent for a while, my English is tinged with the accent and when I start talking to someone with a very pronounced Punjabi accent, after the first few lines of conversation where I sound South Indian, I start sounding all Punjabi. I do not realize the switch being thrown in my brain… though I have now started to try and monitor my speech to catch it and try and rectify it…which is why the therapy. It is a simple way I have devised to try and cure myself of this disorder… I talk to myself! I talk to my reflection and get rid of the last accent on my tongue and then I talk some more to get my normal speech back. It also seems to help my imagination (which, by the way, is out of control)… I weave conversations with my id and ego. Sometimes in my mind I switch to a person with a good hold over the language and someone whose speech and way of talking and whose mind I am well acquainted with and then I debate with my imaginary, real friend. I hope that I get rid of my problem soon.